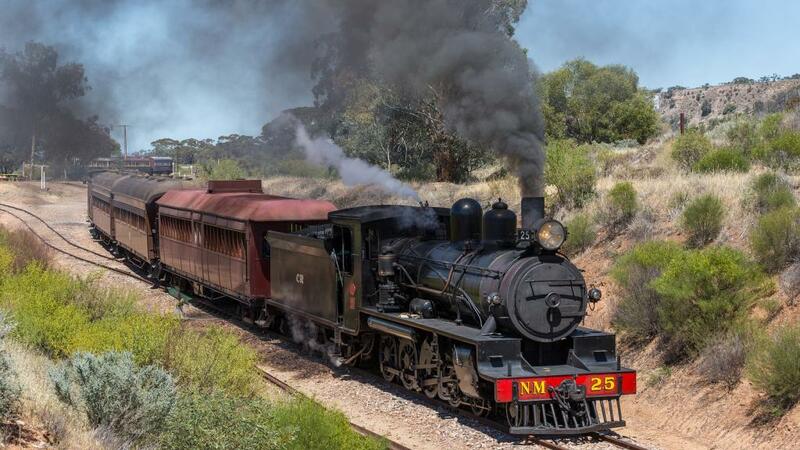 Australian trains enthusiasts will join Rail Tours Australia to celebrate the 50th anniversary of the Booleroo Steam and Traction Preservation Society's Annual Rally with a two day tour that will cover parts of South Australia’s mid north and the stunning Flinders Ranges. Formed in 1968 by a group of local farmers, the Booleroo Steam and Traction Preservation Society has since acquired an extensive collection of steam exhibits, stationary engines, tractors and a variety of other equipment associated with rural agricultural and industrial heritage. What was originally an informal showing of private collections, the society was established to preserve and restore steam engines, vehicles and implements to illustrate the technical developments and skills from the past. Fast forward to today and the society is still going strong. Whilst the organisation hosts a rally every year to showcase the incredible machines that helped to form an integral part of Australian heritage, this year society members will share their knowledge and heartily celebrate the milestone occasion of their 50th anniversary with a special two day tour. Kicking off in Adelaide on Saturday 24 March, the two day tour will travel to Hamley Bridge where it will retrace sections of the original broad gauge Hamley Bridge to Gladstone railway, passing through townships including Blyth, Balaklava and Brinkworth. Day one will also include visits to Crystal Brook and Port Pirie before embarking on the Pichi Richi Railway's Twilight Explorer travelling from Quorn to Woolshed Flat. After spending the night in Port Augusta, day two of the tour will continue on to Booleroo Centre where much of the day will be spent at the iconic South Australian mid north steam and traction rally. Here you will be entertained by the Grand Parade, demonstrations and more as the town and society celebrate 50 years of the society and annual rally. The tour will conclude with a return to Adelaide by 7.30pm on the evening of Sunday 25 March.